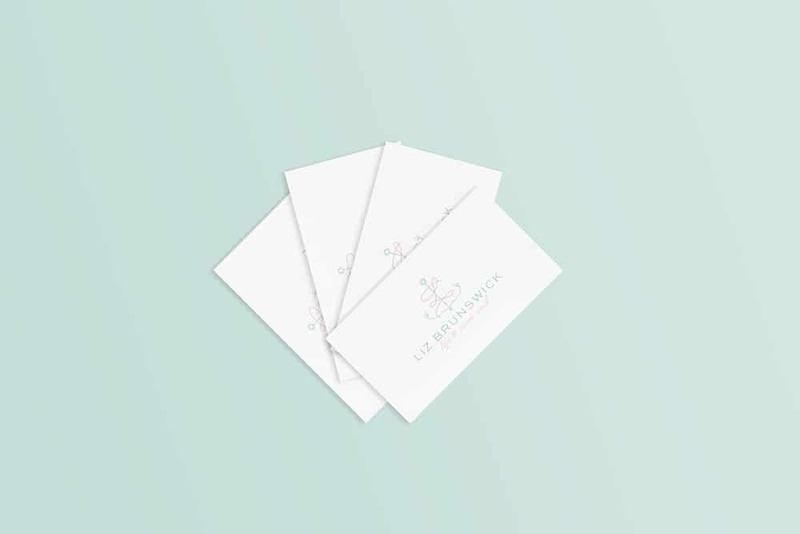 Liz Brunswick is a life and career coach for women who want to find their life purpose, be who they truly are and do what they love. She helps working moms who want to make a career transition to use their drive and energy to find their authentic vocation. Her brand needed to appeal to women who are not yet middle aged, but also not millennials either. 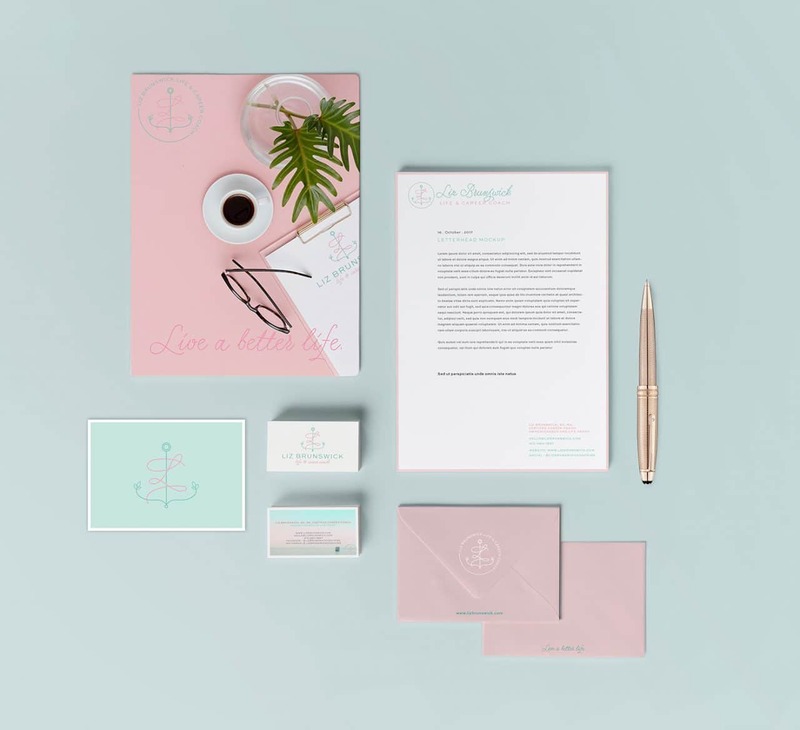 The overall message she wanted her brand to project was growth & change, as well as being grounded. 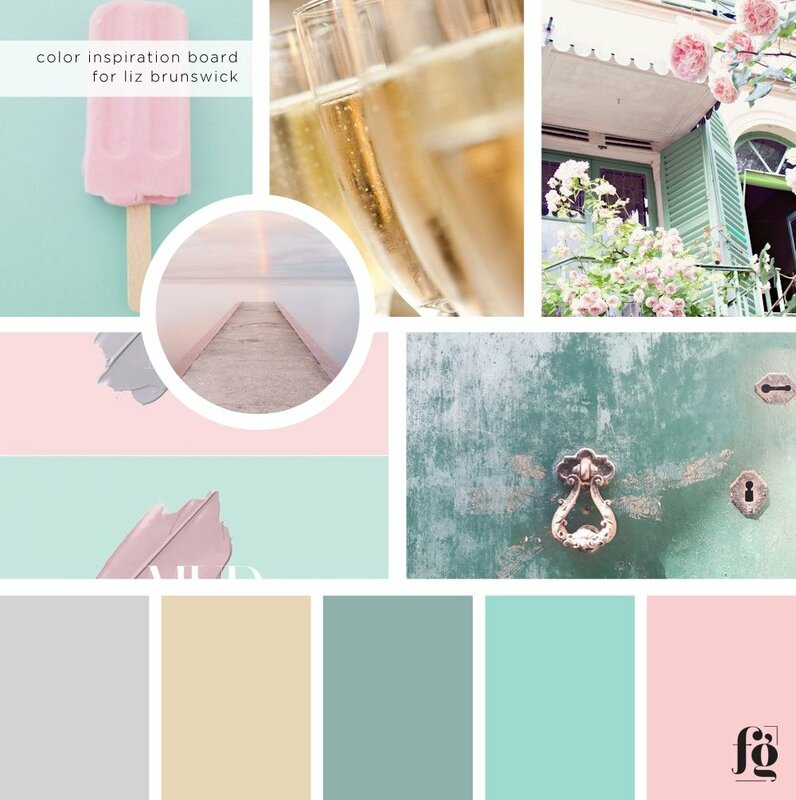 Working with Ginny Krauss for her brand strategy, Liz opted to use soft, feminine colors of pink, grey, blue, and seafoam green. She also specified that she wanted an anchor symbol in her logo, but didn’t want it to have a nautical look. We agreed to stay away from the overused symbols like trees and hands. 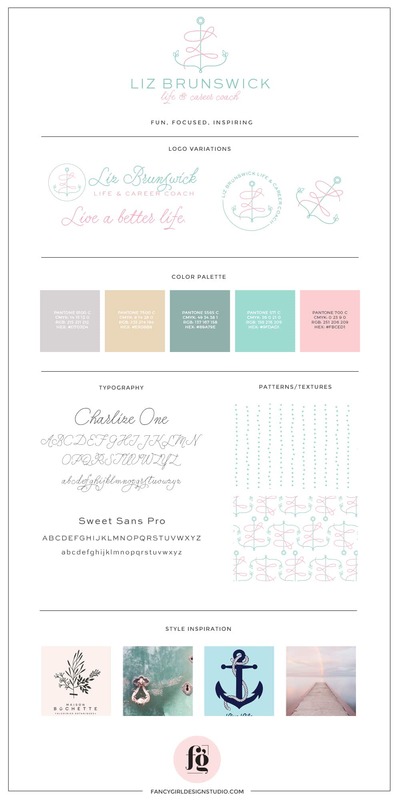 This is a very memorable project for me, because her logo design actually came to me in a dream. (I’m not kidding!) It was so vivid, and so clearly defined that when I woke up, it took me only 10 minutes to create it on Illustrator. Apparently my sleeping self also picked out the fonts for me because I knew exactly what to use. Maybe I should take naps before every logo design project? 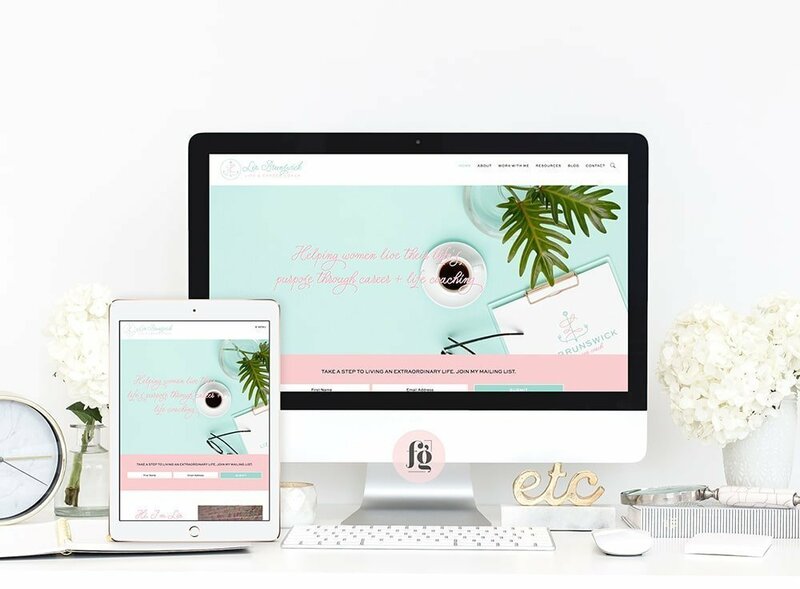 Her website design had to be fun, professional, and easy to navigate. I used her brand colors liberally, even in the choice of stock photos, and made sure there was a lot of white space so it won’t be overwhelming.